I've been absent, but not for any horrible reason. Don't worry. My life is just speeding up. Just 11 weeks until the baby comes and there seems to be no time to dilly-dally. I'm feeling well, maybe a bit more tired than a few weeks ago. The most noticeable change is the frequency of being short of breath because she is pushing up on my lungs and diaphragm. There are moments where it feels like there are feet in throat! I've had my gestational diabetes test and passed with flying colors. My blood pressure is super good, and the midwife isn't concerned with the amount of separation that is happening in my abdominals caused by my hernia. I'm gradually putting on healthy pounds (16-18 so far depending on the time of day) and I still keep expanding forward instead of out, if that makes sense. I guess it's easier to say I don't think my hips have started expanding...yet. 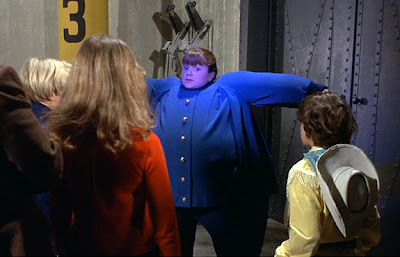 My left foot seems to be swelling in a more consistent pattern than my right, but there has been one time (when I just couldn't resist a day with wayyyyyy too much salt) that they both ballooned like Violet Beauregarde. I did take a minute today to schedule a hair appointment next Wednesday. It will be the first time I've had my hair, dyed professionally since August of 2003 - that was a circus...5 hours of a girl turning my hair from blond to green to GREY - and then her boss stepped in to make it the the color we were going for. This time, it's nothing so drastic. I haven't dyed my hair in...3 years? I'm looking forward to being pampered. So all is well. Dan is home. I'm getting my tasks finished for my friend's wedding on Sept 3rd (oh yeah...I'm being super crafty on top of all that crazy work stuff), and I'm feeling good about how they are all turning out. When they are done I'll post some Ta-Da! photos. Summer is in it's last official stretches, and I can't wait for Fall to show up! I'm getting so excited to September and October!